WHERE and WHEN are crucial! 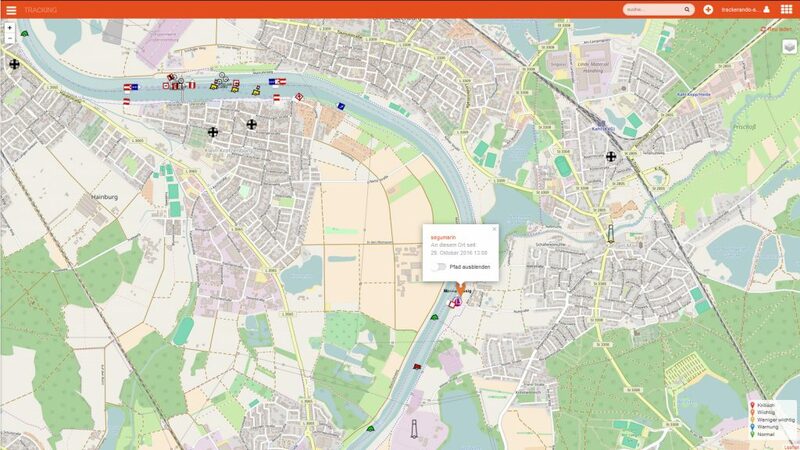 Planning, monitoring and coordination will be easier with us. 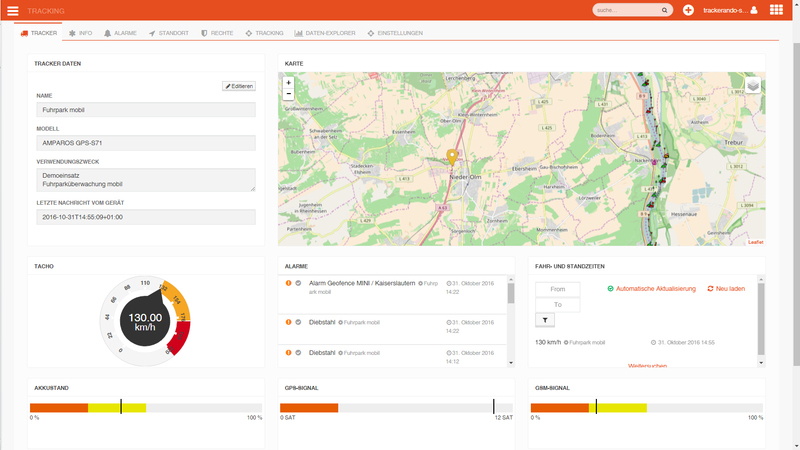 The award-winning IOT solution Cumulocity , which has been used successfully by many industrial customers for years, is trackerando ® now also available for any company. With trackerando ®, individual machines and all position-related services can now be networked, controlled and monitored easily and inexpensively. trackerando ® specializes in tracking application and the field of application is limitless. We are your consultants in the field of tracking. Talk to us! You have a problem on the subject of security, tracking, data protection, fleet and other position-related services - then we are the right contact person. Non-binding and competent, we are happy to advise you. Commercial customers do not need their own specialist to successfully implement tracking theft protection or route optimization in the company. Benefit from our experience and have your reports prepared individually. 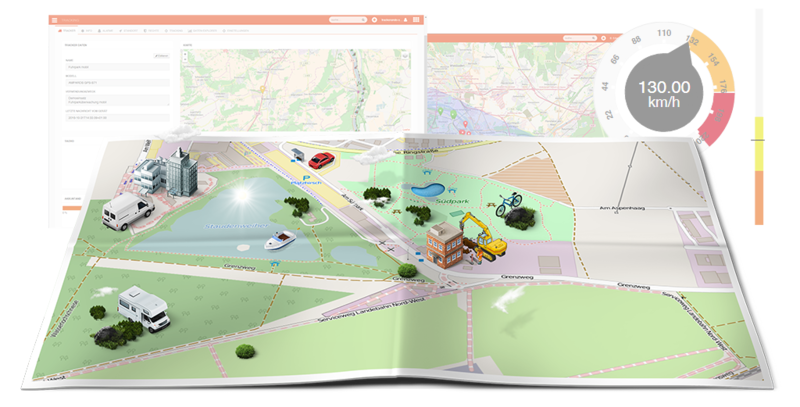 Control your vehicles and machines - from anywhere - in real time! 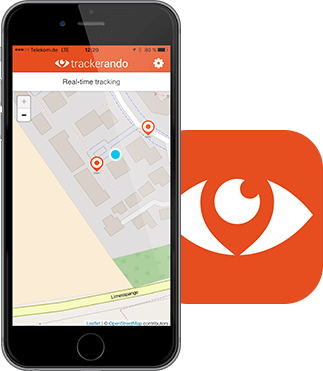 Use trackerando® on all your devices, whether PC, smartphone or tablet. Advice and service is a matter of course for us! All your personal data and device settings are only stored on German servers. You enjoy 100% German privacy standards and the most secure backup system through the Cumulocity server structure. What can a modern tracker actually do? And how can it support me in my work? Modern tracking devices - like those from our premium partners - today can do much more than merely determine the location of a vehicle or a machine! Would you like to know if your trash compactor will soon be full or a silo almost empty? Take advantage of the many opportunities for self-monitoring and save precious time and money! trackerando® builds the bridge to the future for you! This means: controlling all your devices via a platform and using all forms of communication (e-mail, browser, app, SMS, voice message, whether on a PC, Mac, tablet or smartphone). Compared to large providers, we offer our customers cheap GPS devices and customized solutions to their problems. You do not need any technical understanding! Benefit even today from short reaction times, competent advice and a very good service. 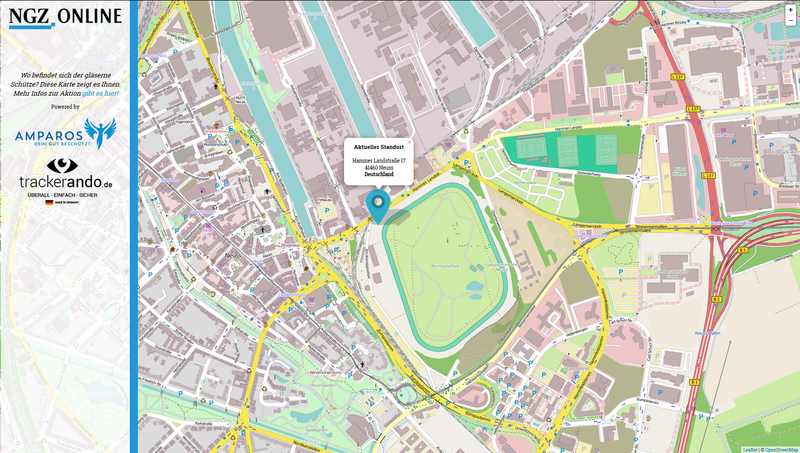 GPS is a tried and tested system that used to be used primarily for locating and navigating. In combination with IoT, GPS tracking becomes intelligent and comfortable for the user and opens up unimagined possibilities. Ready for emergencies - ALWAYS and EVERYWHERE! 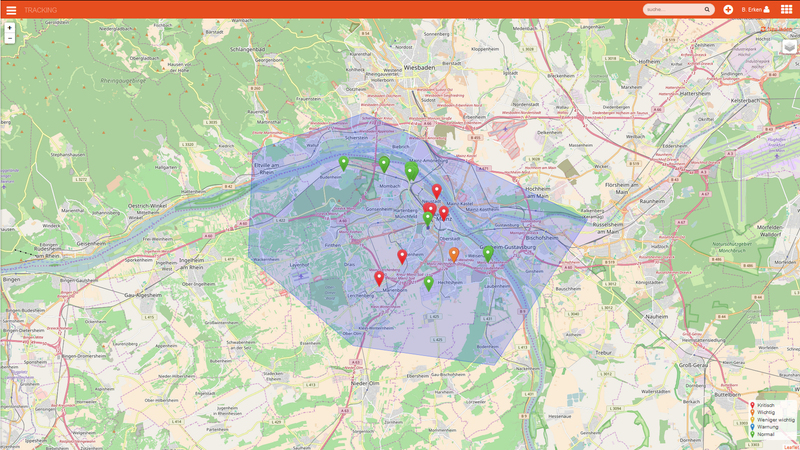 With this special app, you can instantly get an overview on your smartphone. With active tracking, you can use a blue marker to see your location in relation to your tracker and take immediate action and coordinate. All packages (except RENT) are free for 30 days. *Quantity discount on request. The number of trackers must match the number of ordered membership.